Fabric art print in your choice of size and fabric: linen, cotton or burlap. 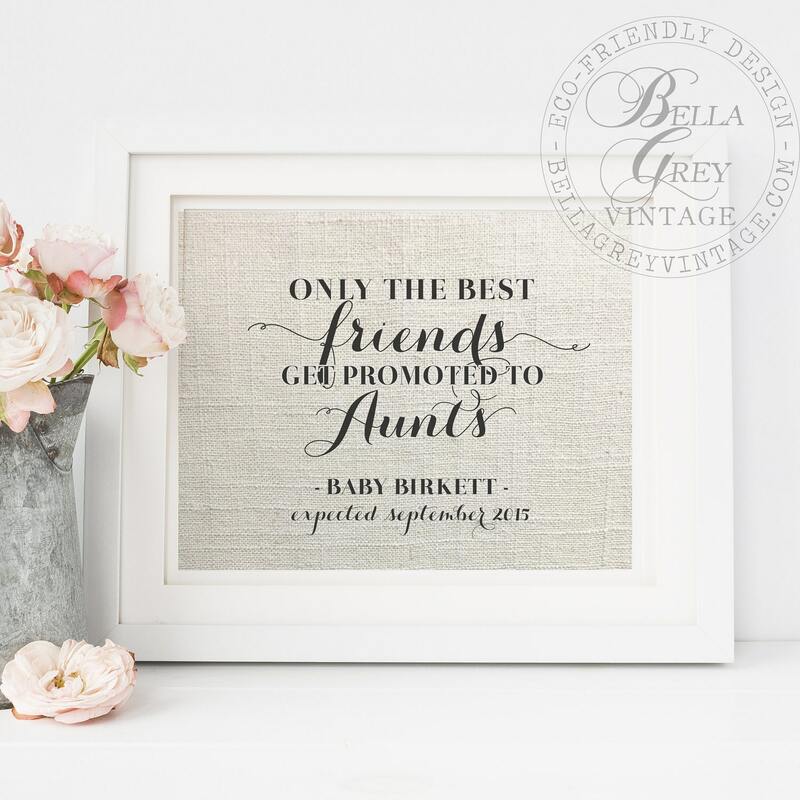 This sweet print will share your exciting news with your bestie! Just received my item and it is absolutely beautiful! Exactly what I was expecting! Thank you so much!